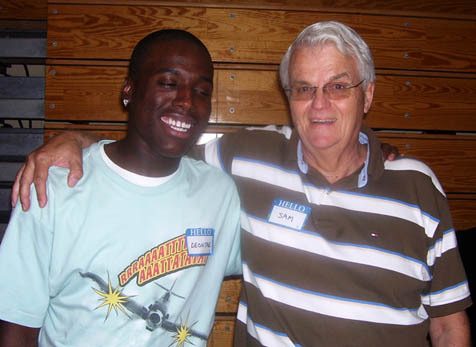 “Mentor relationships are the most significant part of our program,” said OK4Youth Executive Director Dale Champion. “The volunteers offer one-on-one support to these teens as we focus on personal responsibility, positive attitudes, financial literacy, conflict management, and giving back,” The five-year-old Opportunity Knocks for Youth program partners with Cobb County Department of Family and Children Services, Mt. Bethel United Methodist Church and Cobb County schools to provide an innovative approach to support at-risk youth. The teens, with mentors at their sides, take part in educational, cultural and career-related activities that provide new perspectives and insight. “Less than 20% of foster children will graduate from high school,” Champion said. “This year OK4Youth participants celebrated a 75% graduation rate with many already pursuing higher education.” Preparation for the workforce is another objective of the program when higher education is not the young person’s choice. Lyons has officially graduated from the OK4Youth program and is in his final year at Chattahoochee Tech. He still attends many OK events, sometimes as a speaker.